PHOTO BY RYAN WILLIAMSON Young progressives now have a obligation, and an opportunity, to step up. For a lot of young adults, the election of Donald Trump feels like the outright rejection of our ideals -- like all the worst factions in American society won out over our better instincts. It's hard not to think the immediate future is bleak. Progressivism isn't dead. It certainly feels like it's been bashed over the head with a chair and kicked a few times. But it's slowly picking itself back up. While anti-Trump protests continue into a third week, Planned Parenthood has received more than 200,000 donations since November 9 -- at least 46,000 of those made in the name of Vice President-elect Mike Pence. And other non-profits have seen their own significant spikes in charitable giving. The New York Times has added 41,000 paid subscriptions; The New Yorker received more than 10,000 new subscriptions within three days of the election, and The Washington Post, The Atlantic, and Mother Jones have seen an uptick in paid support. The greatest cause for hope, though, is us: young liberals. And it's time we took that responsibility seriously. Clinton won the 18-44-year-old vote by a significant margin, especially with 18-29 year olds. And that's despite a campaign that didn't quite manage to pick up the enthusiasm Bernie Sanders created during the primary. As of last July, Millennials and Gen X-ers surpassed Baby Boomers as the largest block of eligible voters (although it's got to be mentioned that those people didn't come out in a significant way this election). 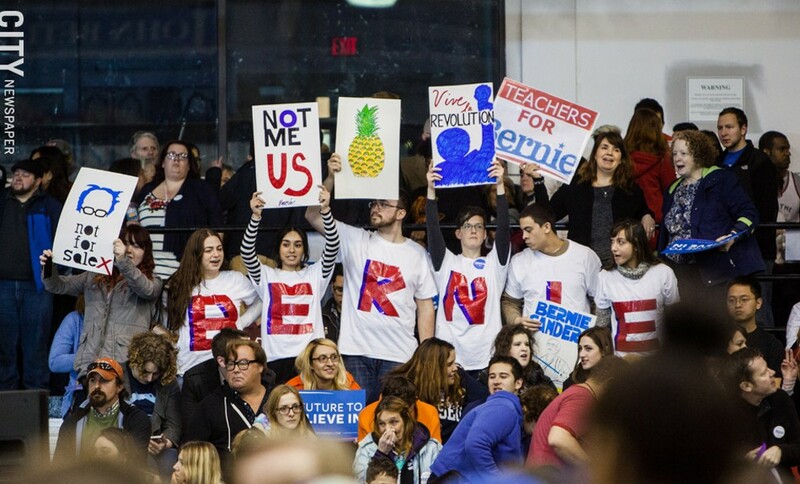 Young progressives have a real responsibility, and an opportunity, now. It will be a hard fight, but we need to make our voices heard against regressive policies, against racism, sexism, and xenophobia of all kinds. And while social media has become a great tool, it can't replace real in-person activism. It's more important than ever for young progressives to become directly involved in local politics; there are battles to be fought here in Rochester. And above all else, we need to recognize our own social bubbles. We can't be afraid to talk to those with opposing views. Allies of disenfranchised groups should talk frankly with our own communities about how a vote for Trump was really a pass for the horrible rhetoric he embodied on the campaign trail. Men need to talk to men about the sexism behind Trump's "locker room talk"; whites need to reach out to other whites to explain the coded language behind "law and order." And when conservatives say, "I was appalled by what he said, but I voted to shake up the system," hold their feet to the fire when the Trump administration suggests policies like a registry of immigrants from Muslim countries. Trump's policies will hurt the people who voted for him -- not to mention people in marginalized communities who have fought for decades for their rights. Trump pitched his tax plan as cuts for the working and middle classes, but it will be the top 1 percent who will benefit the most. In fact, many middle-class families, especially single-parent families, will see an increase in their taxes, according to the Tax Policy Center. The center also speculates that the government will lose $6.2 trillion in revenue, so under a Republican Congress, it's not hard to imagine significant cuts to the programs many working class people depend on. No one gets out of this happy. The future of the Democratic Party, at all levels, depends on its commitment to progressive policies, and its ability to effectively communicate to all people how those policies benefit everyone. Those in power should take note: while the Democratic bench is weak, this is an opportunity to rebuild with integrity, honesty, and transparency. Those were policies young liberals were shouting for during the primaries. We can't underestimate our own power in this post-election period. It's time to put that power to work. Jake Clapp is Arts and Entertainment Editor at City. Mary Anna Towler's Urban Journal is on break and will return next week.